The Battle of Moore Street – 28-29 April, 1916 – marked the end of the Easter Rising, but not the end of the struggle for Irish freedom. threatened to destroy them and those they fought to free..
Now, 100 years later, this is the most significant battlefield site remaining from those days that changed not just Ireland, but the World. 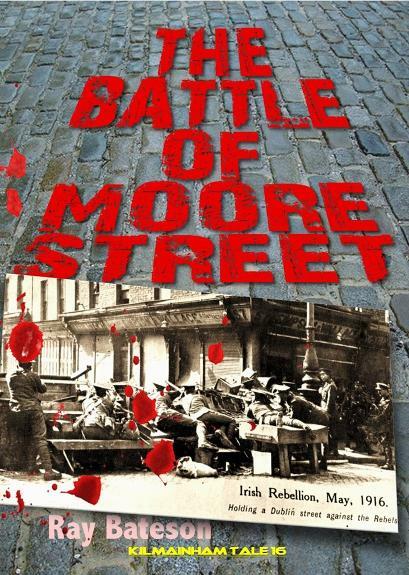 This book is essential reading for all who wish to understand the national significance of Moore Street and the surrounding area, and the bravery of those who fought and died there. (above) British Army barricade at the Parnell Street end of Moore Street.